These beautiful sterling silver and fine silver earrings feature detailed silver sea urchins, made from my own original molds, fused onto a highly textural background of sea foam. I have suspended these focals from my own handmade and handforged sterling silver earwires. 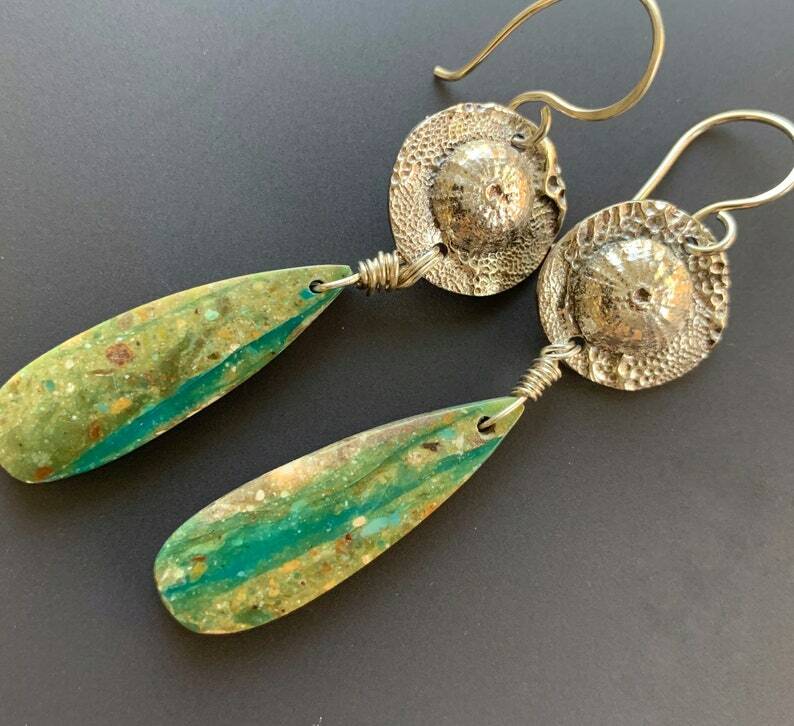 Finished off with gorgeous teardrop dangles of Peruvian blue/green opal attached with sterling silver wire, these earrings have a drop of approximately 53mm or 2-1/4 inches.